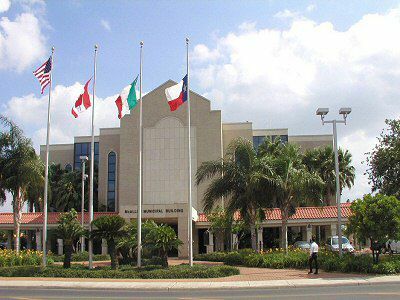 McALLEN — Four months after city commissioners voted to pay hundreds of thousands of dollars for new audio and video equipment, their voices could not be heard. Those sitting on the dais at Monday’s commission meeting looked around and shook their heads in displeasure when the freshly installed equipment routinely malfunctioned. More than a month has passed since its installation and multiple meetings have gaveled and adjourned, yet the hiccups remain. So, what’s the $354,951 problem? City Manager Roel “Roy” Rodriguez appeared annoyed, leaving his seat on the dais twice during Monday’s meeting to ask city staff about the problem. Rodriguez said the new equipment was supposed to take a couple meetings to get tuned correctly, but it should have been in order by now. Not all of the money went toward in-house audio, city officials said. A big chunk was dedicated to upgrading the video feed for meetings. But issues still persist. Rodriguez said the audio was still recorded for official use as required by city charter and state law and that City Attorney Kevin Pagan said they were in compliance. Commissioner Omar Quintanilla experienced the wavering audio several times Monday, with his microphone cutting out intermittently when he spoke. Rodriguez assured that “we’ll work it out.” Quintanilla agreed and has confidence city staff will make amends.